Relay season is upon us again and so begins the seemingly endless fundraisers to help find a cure. 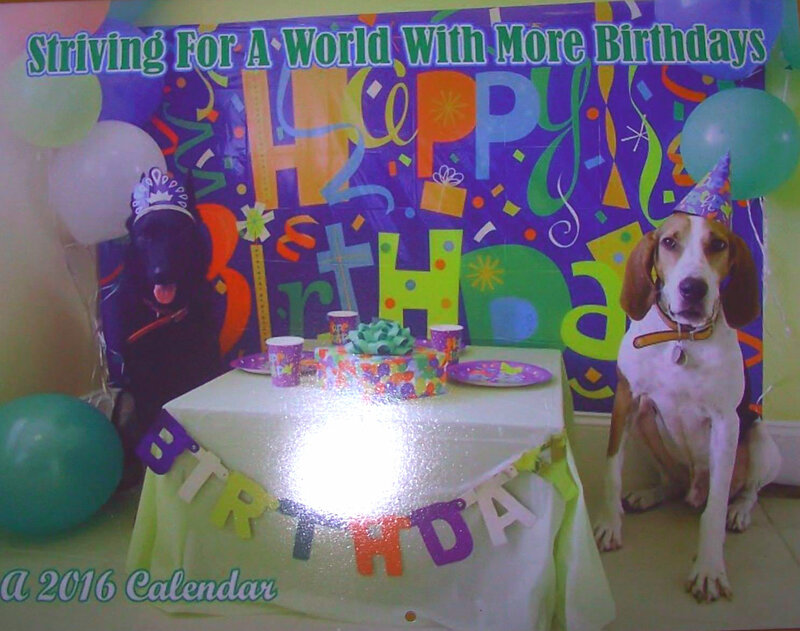 Team Cootie Coo Creations is currently selling 2016 calendars that are priceless. 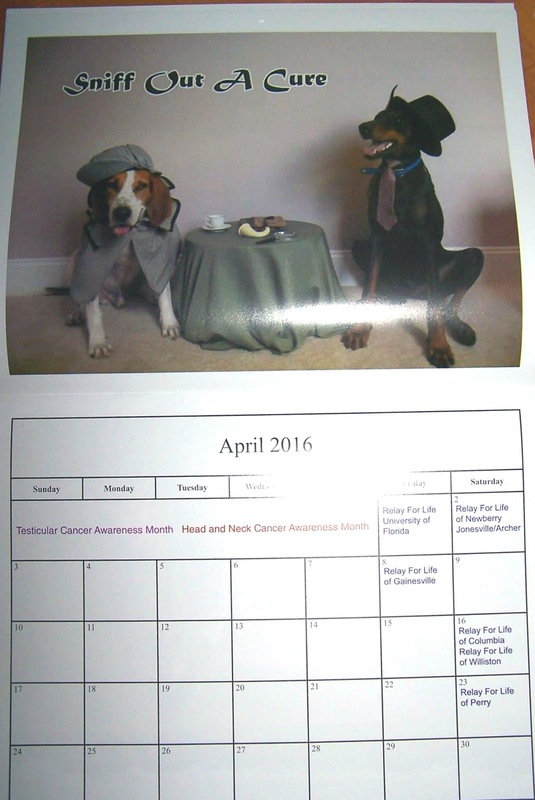 Each month features dogs dressed in various costumes with a statement about cancer or finding a cure or whatever seems relevant. 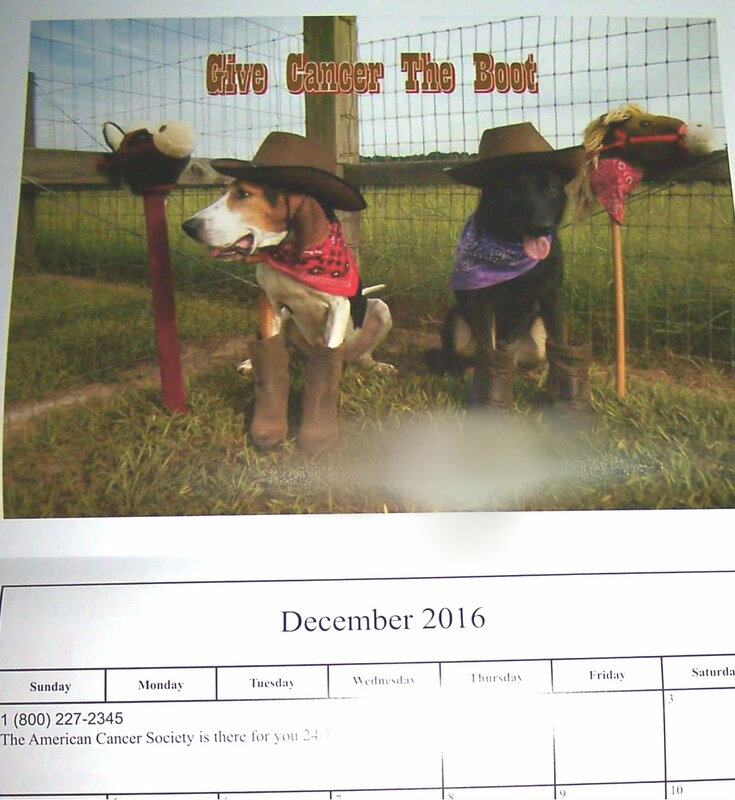 Calendars are just $10 and of course, the proceeds go to theAlachua/High Springs Relay for Life event, to be held May 13, 2016. Last year Team Cootie Coo Creations was the #1 team for fundraising and Shane Bowlin and I were the #1 and #2 individual fundraisers...we will be working hard to maintain those spots again this year. 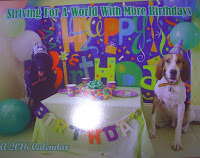 Please let me know how many calendars you would like to purchase; AND/OR you may join the #1 team, Cootie Coo Creations OR make a donation to support me (Sharon Kantor) by going to www.relayforlife.org and searching for our event (enter 32643 as the zip code). You do have the power to save lives., so don't be timid about doing so. 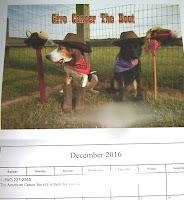 BTW, Denise Mann, I know that you have already made your donation so you are off the hook and there will be no threats this year - ha ha! Our theme for the 2016 Relay event is a circus theme, so be on the look-out for me in my top hat and big clown tie...a great get-up if I do say so myself - whoop whoop! Cirque d' Relay is on its way! !